At Last, At Last - Heinrich von Staden (ed., tr. 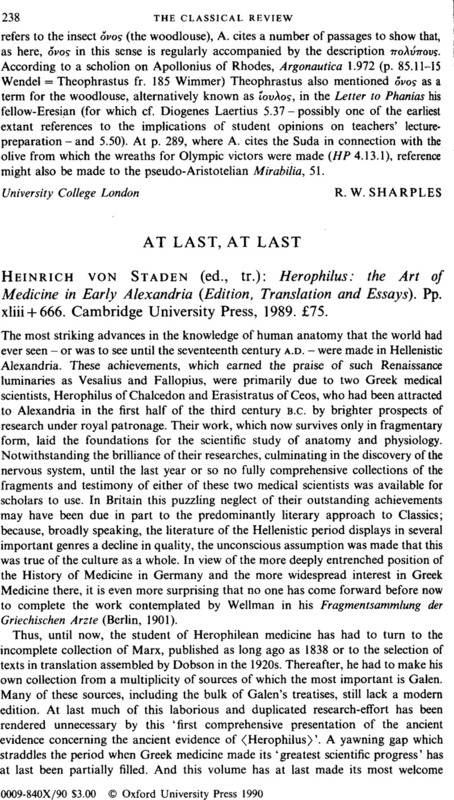 ): Herophilus: the Art of Medicine in Early Alexandria (Edition, Translation and Essays). Pp. xliii + 666. Cambridge University Press, 1989. £75.